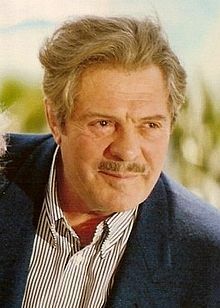 Marcello Mastroianni (September 28, 1924 – Dizember 19, 1996) wis a Italian film actor. He played Marcello Rubini in La Dolce Vita. He played Ferdinando in Divorce Italian Style an aw. Mastroianni wis born in Fontana Liri, Italy. He dee'd o pancreatic cancer at 72. Wikimedia Commons haes media relatit tae Marcello Mastroianni. This page wis last eeditit on 5 Februar 2015, at 23:59.